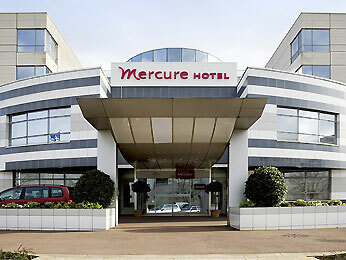 Located in the heart of the Massy business district and 2 minutes from the TGV station and RER B and C stations, the 4-star Mercure Massy Gare TGV hotel is an ideal location dedicated to ensuring your comfort during your business trips or work meetings. Traveling to Paris is easy thanks to the RER B and C stations, and the nearby A6 and A10 highways. For relaxation, enjoy the tranquility of our modern and comfortable rooms and unwind in the hotel lounge bar.